Y’all know I’m a lifelong runner. I’m like Forrest Gump; once I started, I just kept going. As I lifer, I’ve had injuries along the way, one of which was thought to be fat pad atrophy. I know, I laughed too. On the other hand, my doc was all business and suggested that I get some gel heel cups, to which I literally rolled my eyes and may have even released a guffaw. My pain, my special pain, was an 8 on a good day and tiny little gel inserts were gonna be my answer? 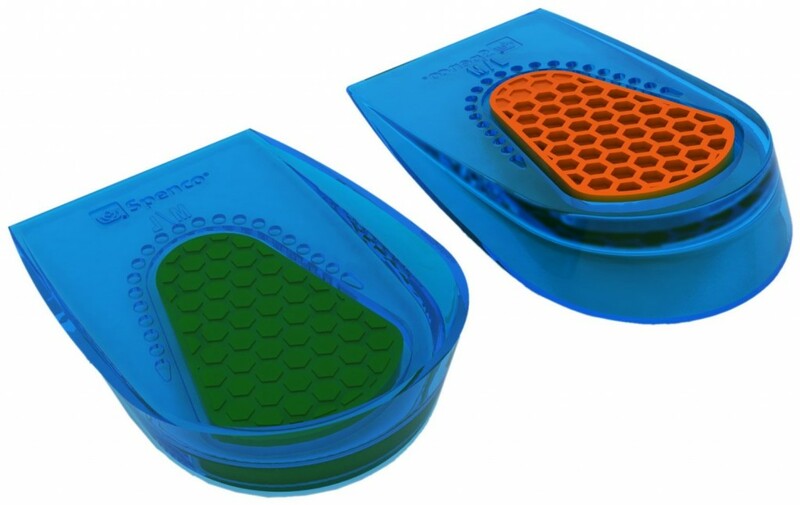 Doc Man advised that heel cups can relieve all kinds of heel pain. What?! After I got over myself, I took a minute and tried to understand my silly sounding diagnosis. Um, my fat pad is atrophying? Is that even a thing? Fat, like the stuff in may thighs, can atrophy? Yes, yes and yes. After I stopped laughing in-between being horrified and intrigued, I had no idea if there was a cure, because this was the very first time in all my advanced years, that I had heard about this malady, although I will confess to thinking about a possible liposuction transplant, ’cause I knew I had plenty to spare. How does one get this silly sounding ailment? I probably didn’t get it from running and neither did you, if you have fat pad atrophy. Yeah, I laughed again. The most common causes are age (got that! ), being overweight, and injury to your heel from landing on a hard surface (after a jump or fall), or from stepping hard on a rock, which is something that happens to me a lot because of my proclivity to walk around barefoot even when painting the outside of the house. Symptoms include: Pain in the middle of the heel, that feels like a deep bruise (I kept asking Husband if he could see a bruise on my heel, before I was diagnosed). 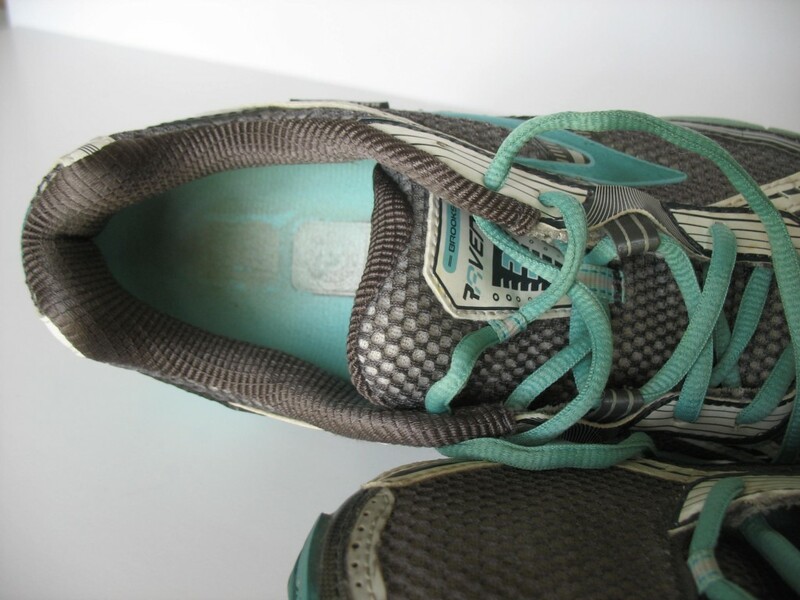 When walking, the pain will be felt more on the outer side of the heel. Pain is aggravated when you walk on hard surfaces, especially when, um, barefoot. So yeah, it’s apparently a thing. 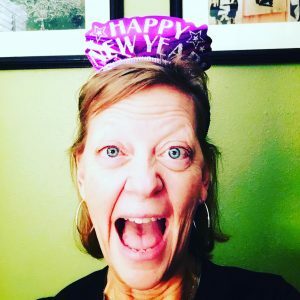 Fat pad Atrophy…what’s a gal to do? 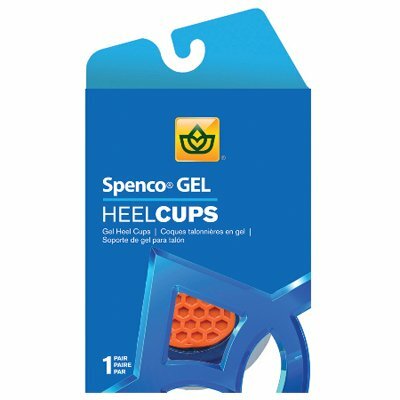 Wear the heel cups! Fine. I’ll humor you, Mr. Doctor Man…. Seriously, Doc, don’t kid a kidder. These feel like gummy gears. 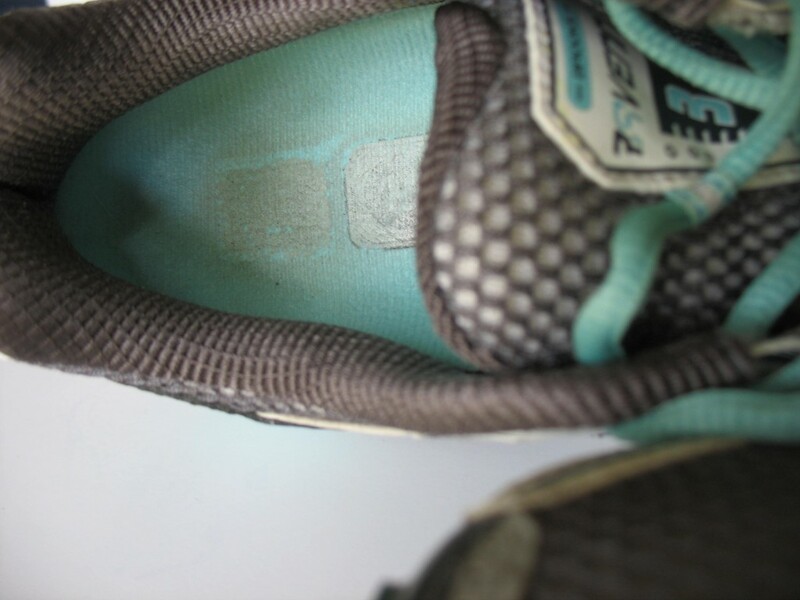 Mmmmm, gummy bears…..
Take out the shoe’s original insert. 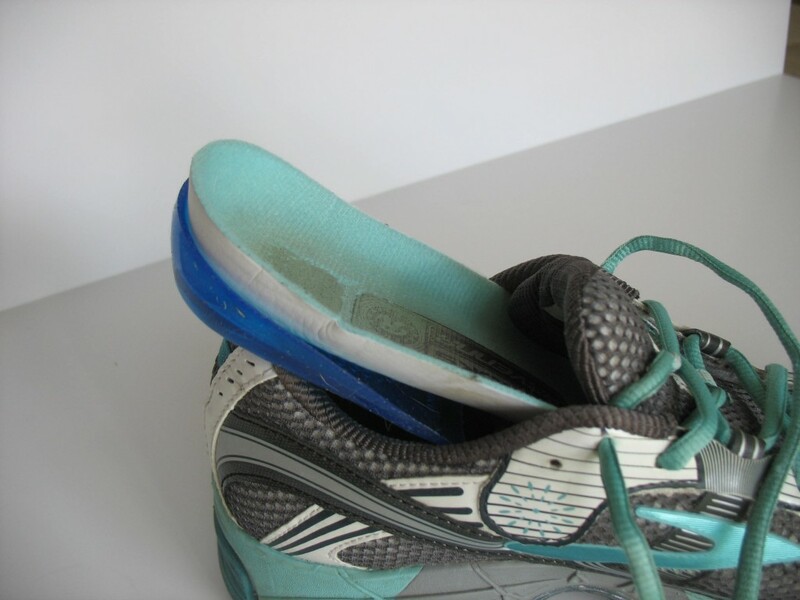 The insert is NOT an orthotic, merely the removable bottom part of the inside of your shoe. Closer look…can you see the grass on the insert? I had just finished mowing the lawn. That’s it. Done. All that’s left is to wear them and wonder how the fix could be so stinkin’ easy. Just so you know, prior to my doc figuring out what was wrong with me, I had already gone three weeks without running. I was in so much pain, it just wasn’t possible. Worst yet, I was in the middle of training season and BAM! injured. We went through many possibilities from plantar fasciitis to a stress fracture, so you can see why I was giving him such grief when he actually came up with the easy-peasy to fix diagnosis. I went from possibly wearing a boot and not running for six-weeks, to inserting gel cups and getting back to thangs. If you are suffering from fat pad atrophy (still giggling) it couldn’t hurt to try this low cost and simple solution. UPDATE: Come to find out I don’t have heel pad atrophy. WHAT?! Yep, wrong diagnosis. (running injury = booo!) Still, the pads made my feet feel better and when things get iffy, I still slip in the inserts. So there ya have it. Definitely worth the low-cost try. Have you thought about new shoes? The shoes in the photos are props. I have brand new shoes and am diligent about not running too long on any pair. But you bring up an important point: the age of your shoes matters! Good shoes = always a win! Thanks for the good wishes. 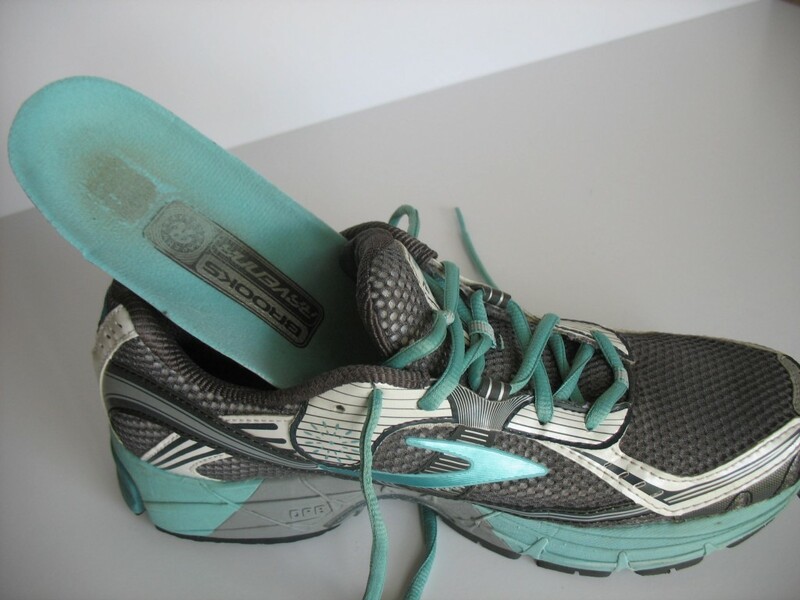 I was diagnosed with plantar fasciitis because of my heel and arch pain. I actually had to get custom orthodics made because the ones sold in the stores weren’t quite helping. They helped at first, but not long term. 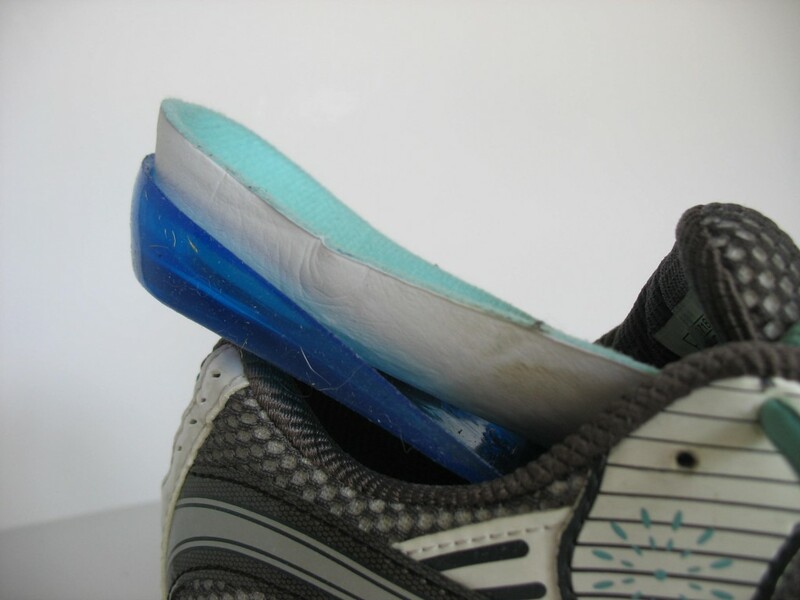 I’m in recovery now so that regular gel inserts are good enough, or just really good shoes with good support. No more complete flats or flip flops for this girl heh. We’ve ruled out plantar (have you heard of Airrosti? they have great results banishing platar…for good!). As for flip flops, I am a flip flop loving gal, but I haven’t worn them this year. Bleh. YES! So glad you have found them useful. I’m a big fan of the squish! Such a good idea! I haven’t been running for a couple weeks either because my heal has been really hurting (and my kids were out of school so I didn’t really want to take my entourage with me- but it would be entertaining, at least for the neighbors watching me run with 4 kids) and I think I bruised it walking in some not so great shoes on some rocks. These look like they would really help- thanks for the suggestion!